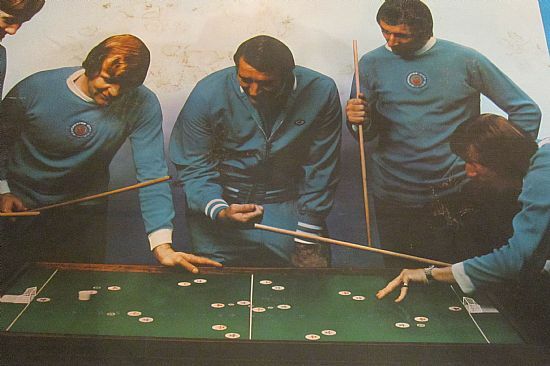 1970s large table top game based on snooker. I need a copy of the rules please! This game is missing the cues, puck and goals - do you have them? 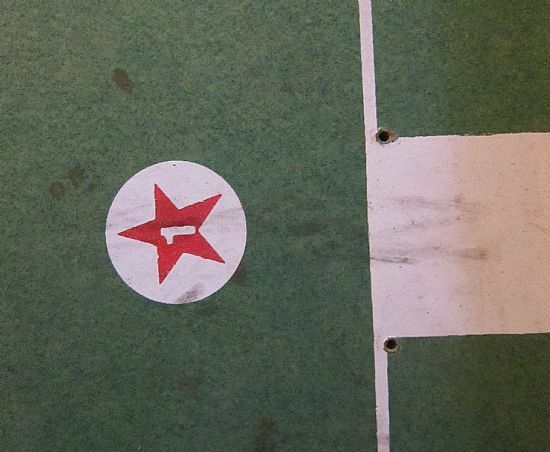 No idea how to play it but I suspect you hit the puck and tried to get it to land on the player circles. 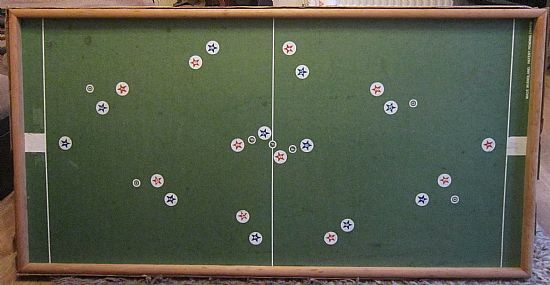 MASSIVE sized game that uses the principles of snooker to create a unique football game. 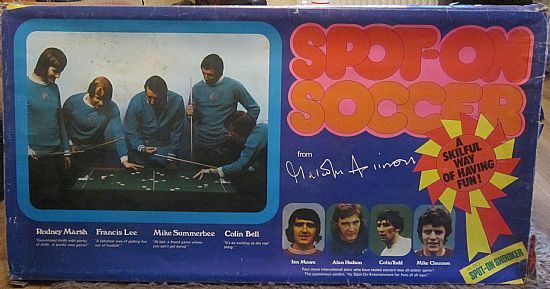 Endorsed by Malcolm Allison and very rarely seen. 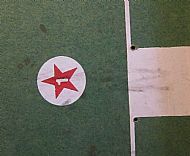 Huge wooden pitch marked with player circles and a few other markings. No idea how it is played. 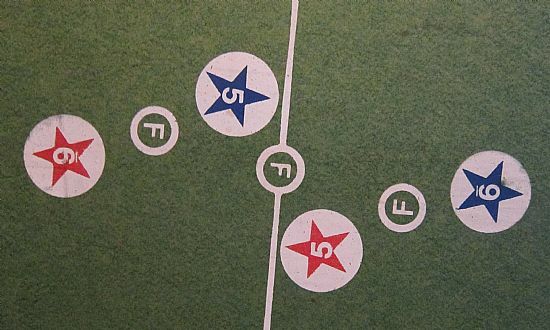 The player circles have numbers 1 - 11 in a set formation plus a few other letters in circles. 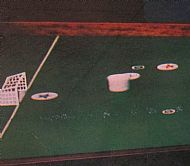 The keeper is in a set position and orginally there was also a small plastic goal. 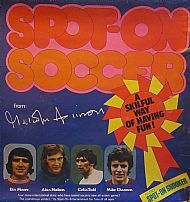 Endorsed by quite a few players who I am sure all got a nice little earner out of it. Taken from the box lid the ball seems to be a type of plastic puck probably with a ball bearing inside it.